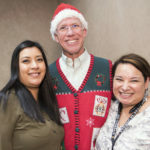 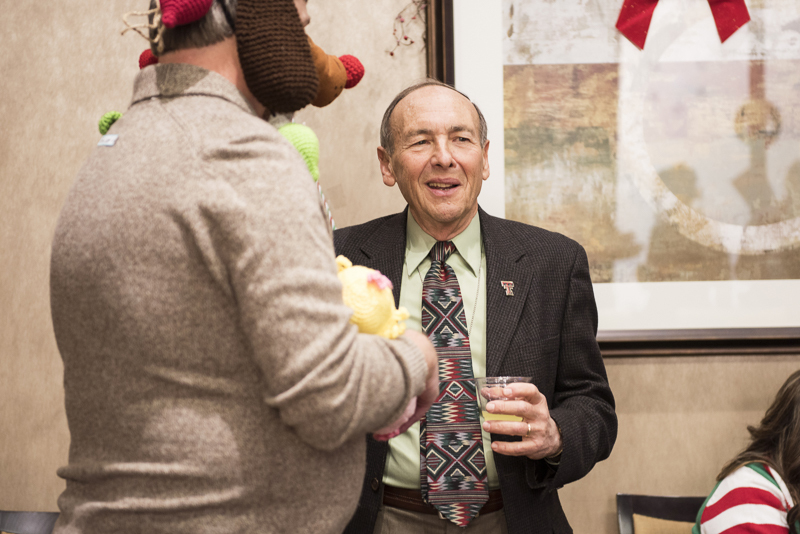 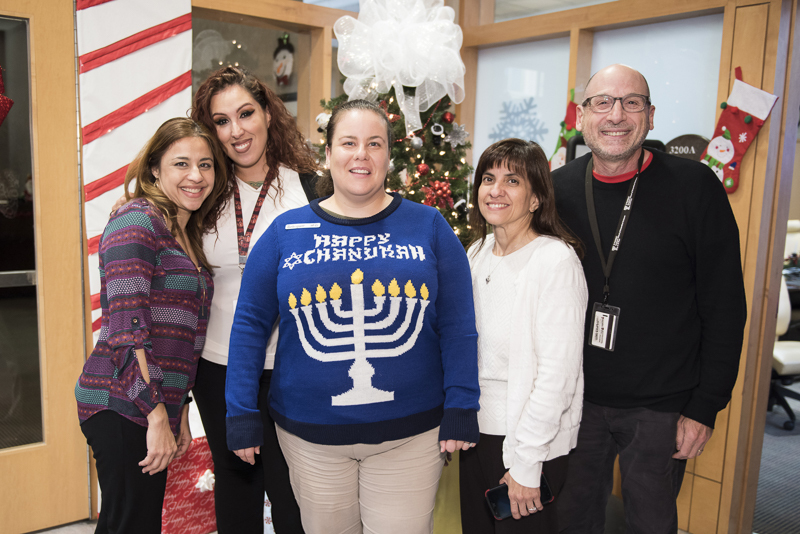 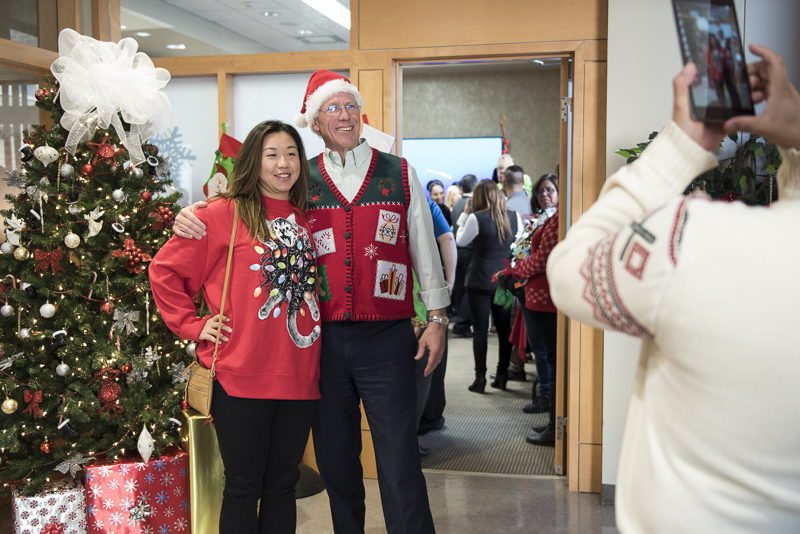 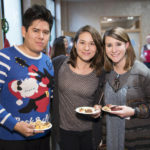 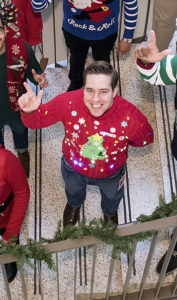 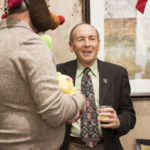 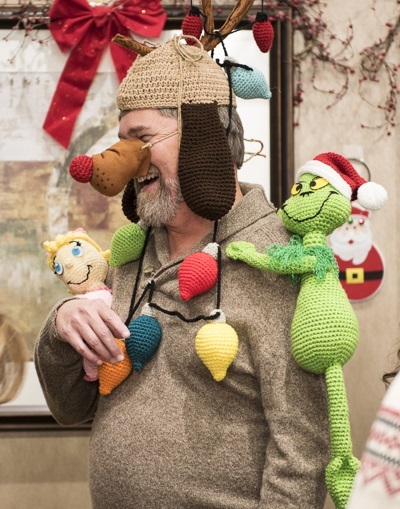 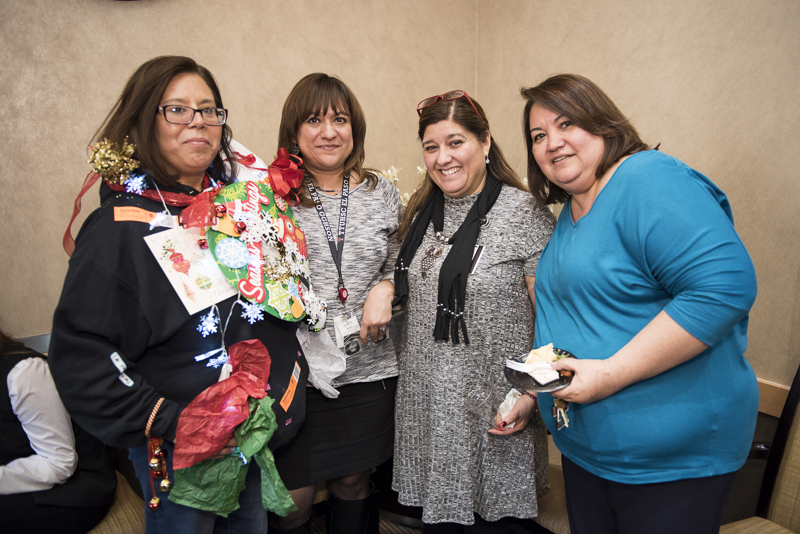 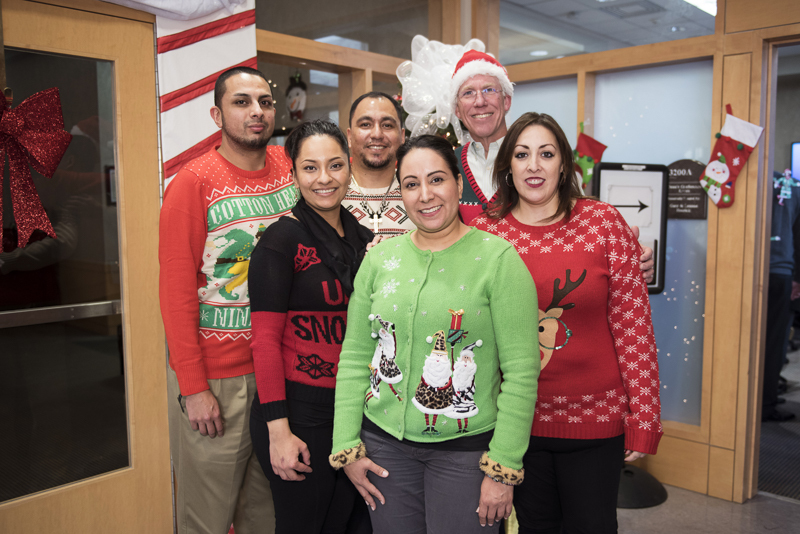 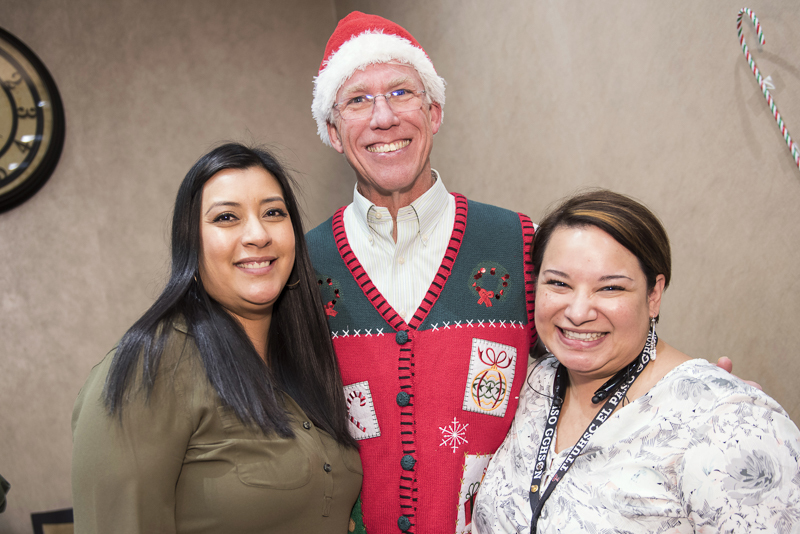 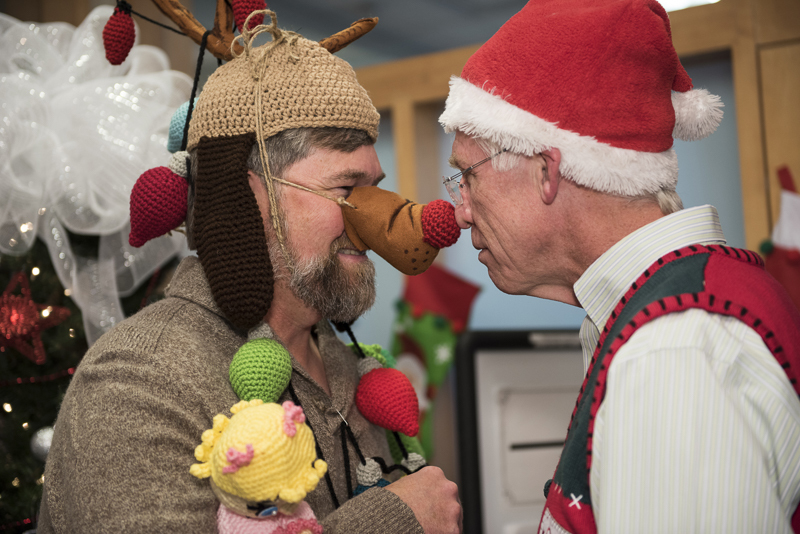 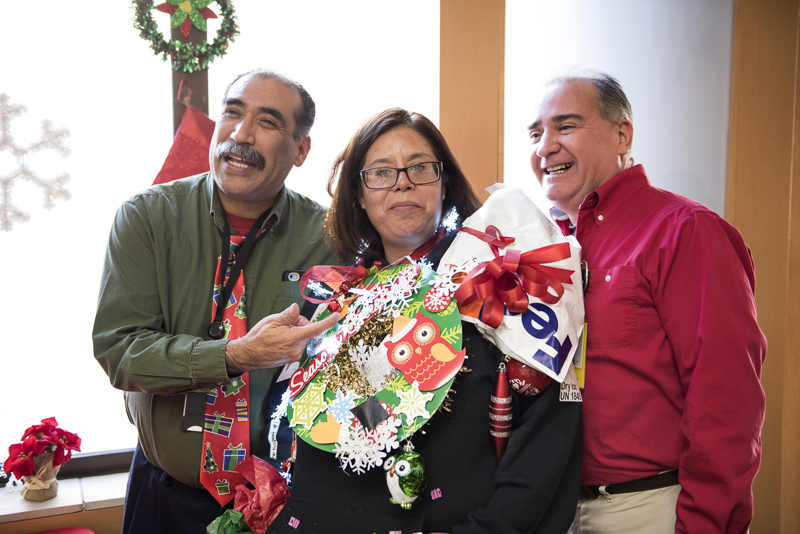 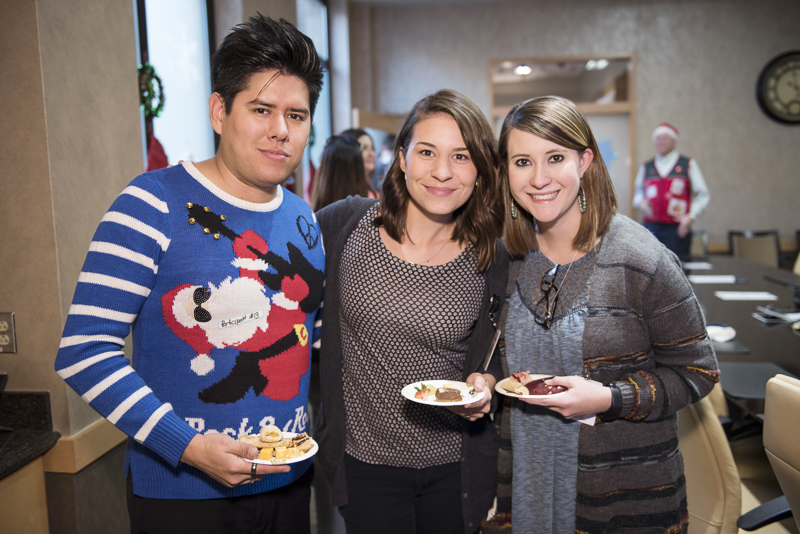 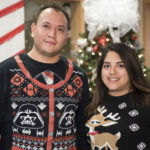 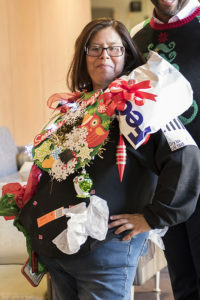 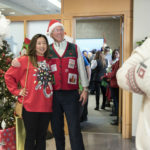 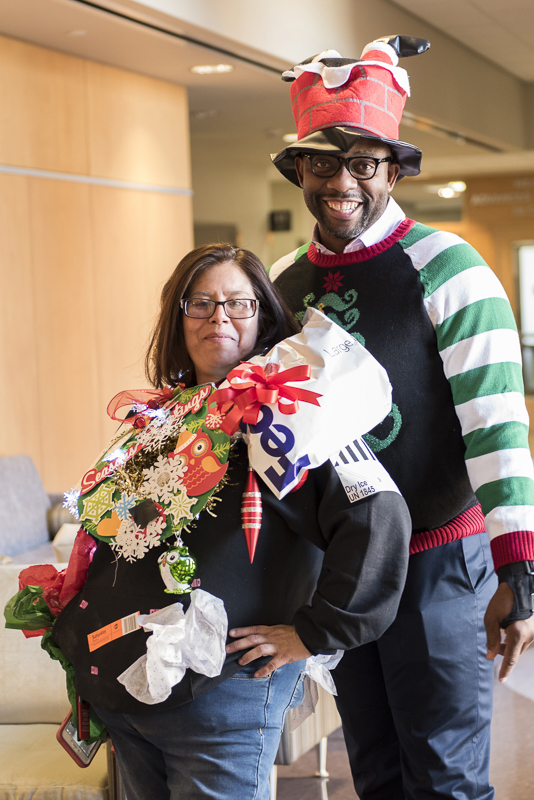 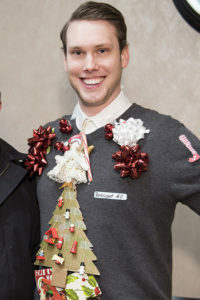 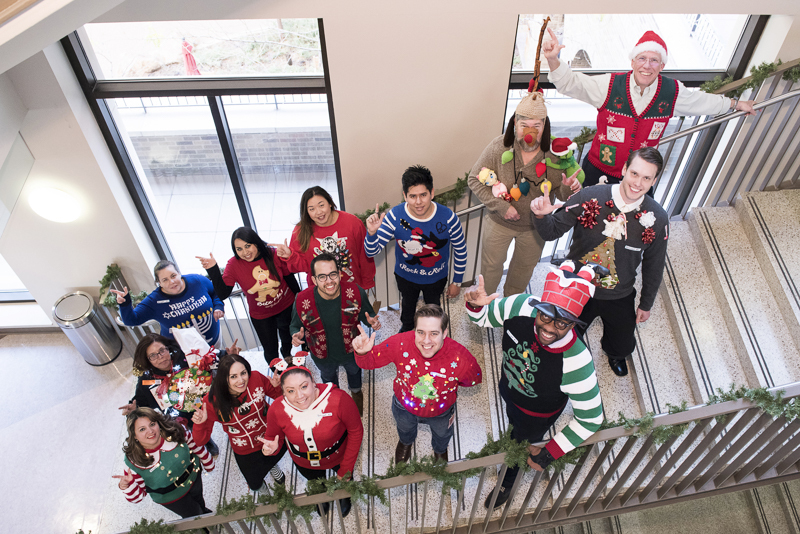 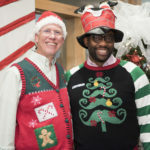 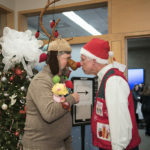 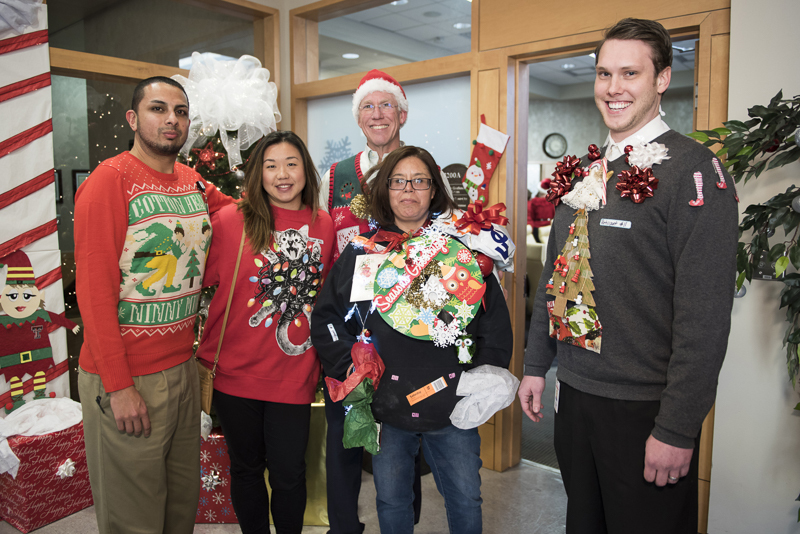 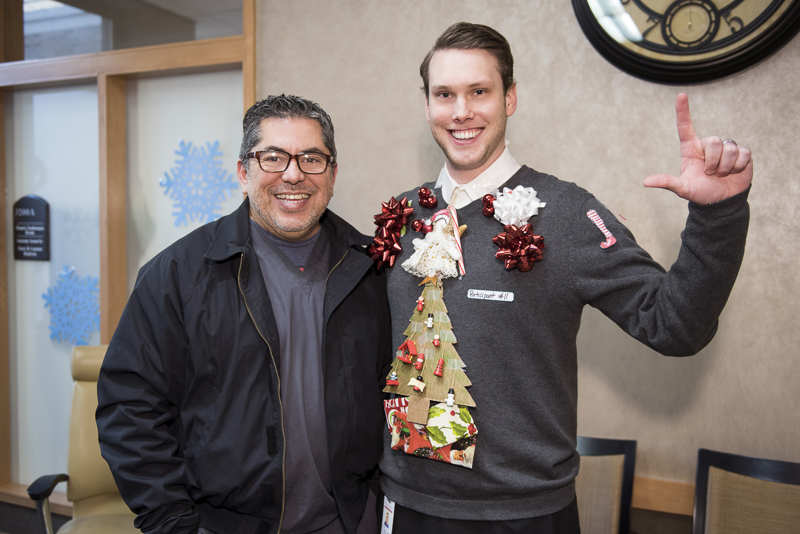 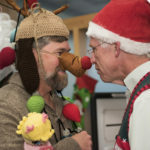 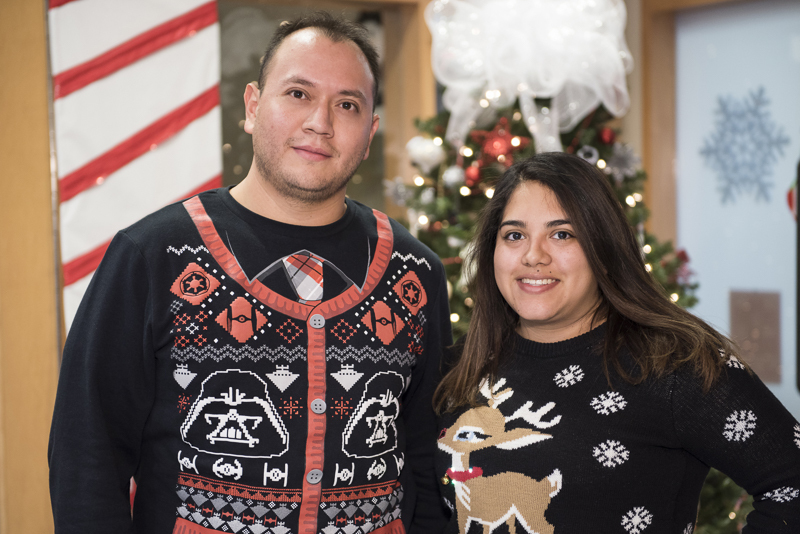 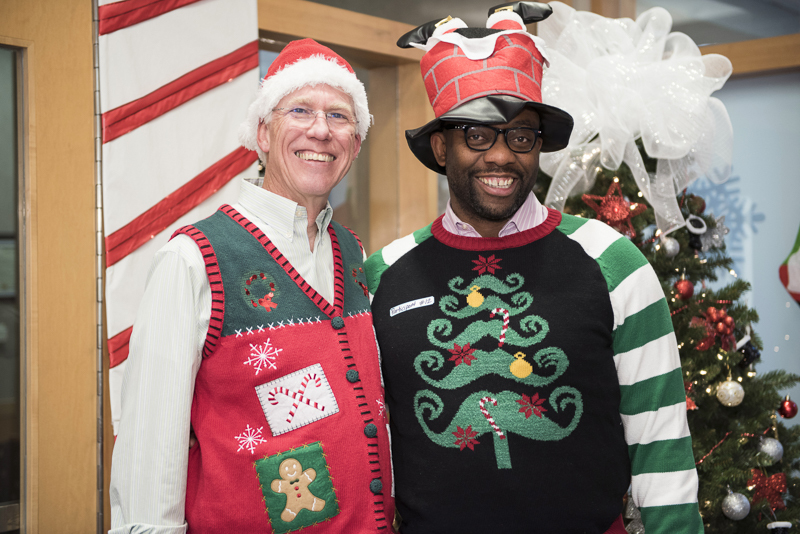 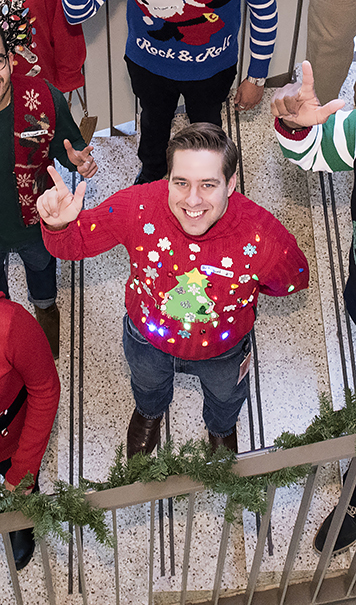 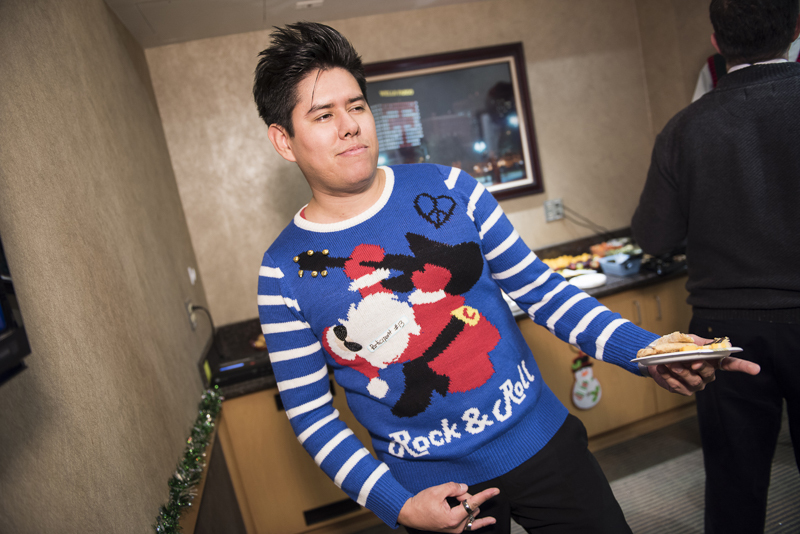 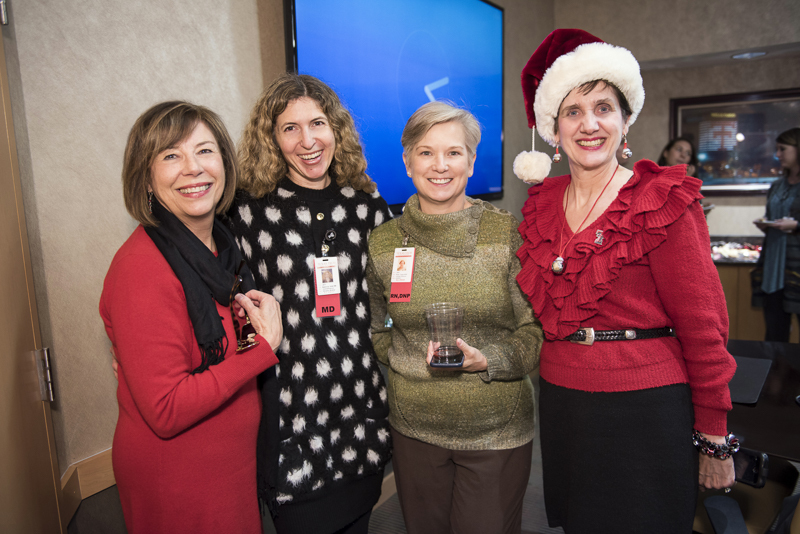 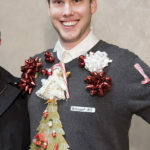 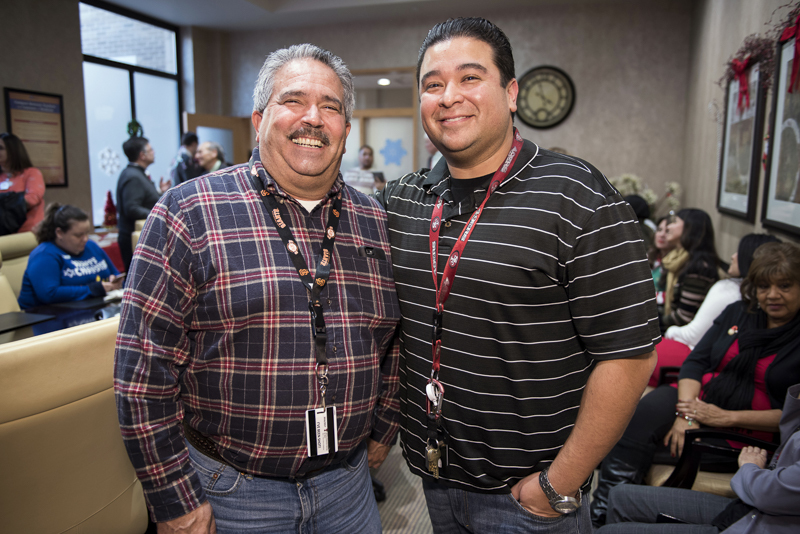 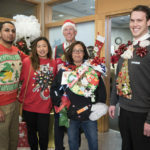 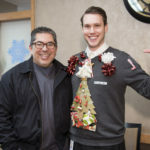 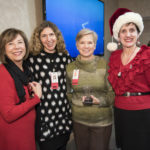 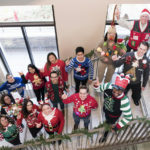 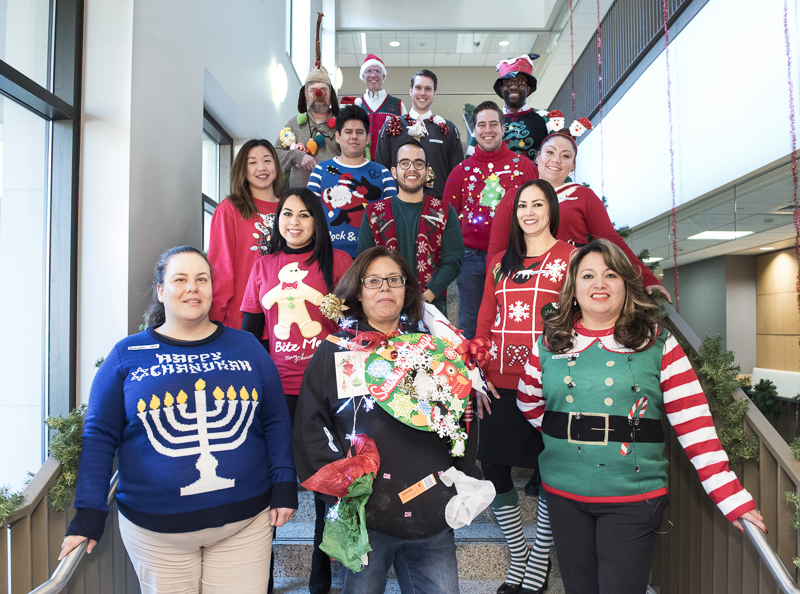 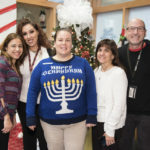 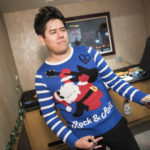 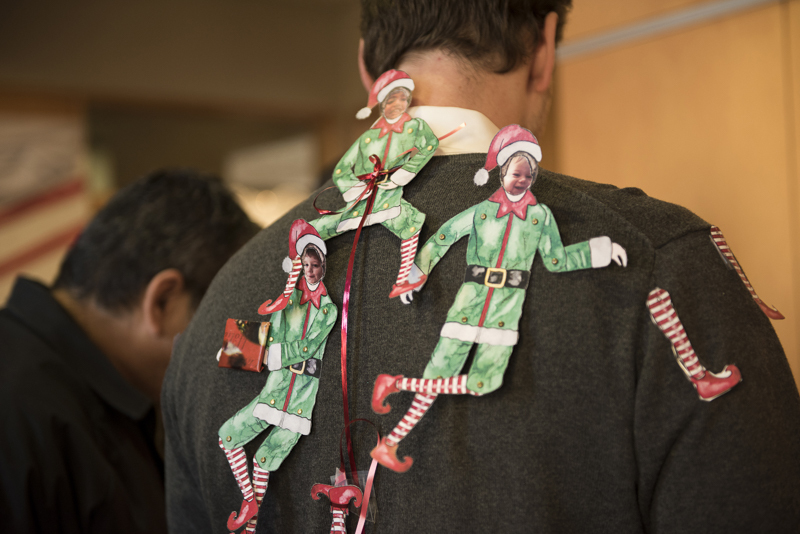 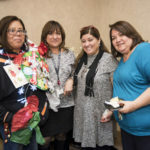 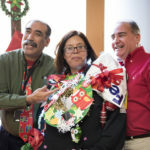 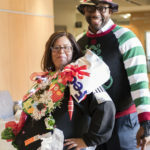 For the second year in a row, Texas Tech University Health Sciences Center El Paso President Richard Lange, M.D., M.B.A., hosted an open house and ugly holiday sweater contest. 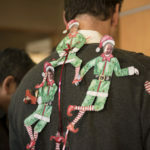 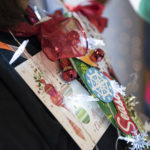 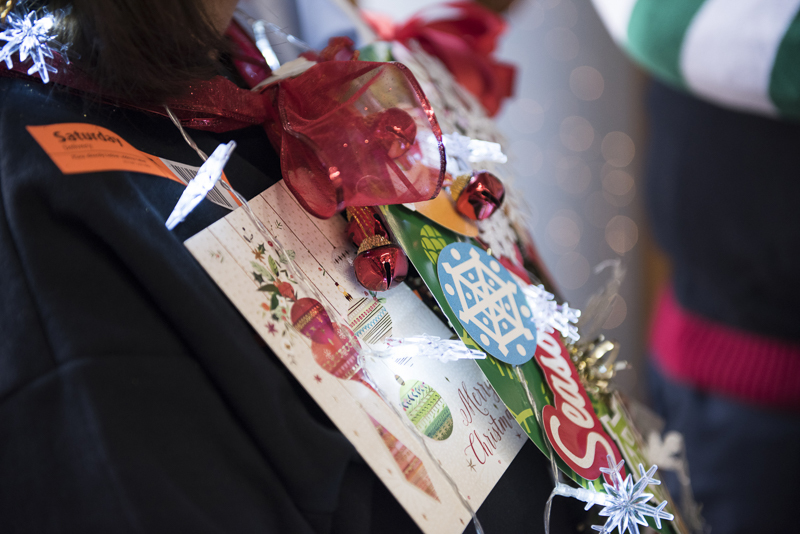 Dozens of students and employees turned out to show off their festive flare and creativity. 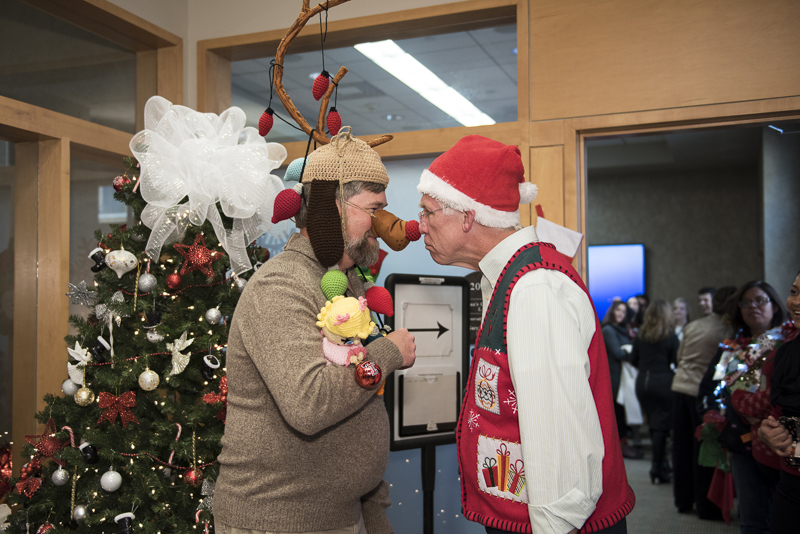 Losing by a nose was Michael Scott, R.N., D.N.P, FAANP, of the Gayle Greve Hunt School of Nursing. 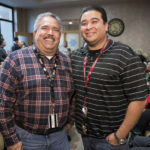 Photos by Tommie Morelos (Office of Institutional Advancement).